@Flippy.1653 said: Male, charr Easy. Tier 3 heavy cultural. Sadly, the only good fit on Charr is the stuff specifically designed for them IMHO. I’m Swedish and I have no idea what “Kung Fu Tea” is. I guess non-US players are utterly kitten? I not-so-secretly wish that Warrior and Engineer switched Rifles. The ability to use their rocket jump into melee seems so much fun, and very Warrior-ish. Berserker. It is just god awful in comparison to Core and Spellbreaker. Too many mounts as is. It is starting to get silly. I think it’d be better if the Skimmer had a dive function. Are you aware of who the big bad of PoF is? Because that’s a rather big spoiler in of itself and eventhough you get the Raptor very early on, there’s no avoiding that spoiler. @kharmin.7683 said: @gamerzfolk.1732 said: How do you motivate someone to do something that is not fun or enjoyable? By gating content behind it. Proven again and again not to work. Dolyak should’ve given Resistance to fit the “unstoppable beast of burden”-theme. @Ovalkvadratcylinder.9365 said: @derd.6413 said: Racial skills must be bad so no why? Because race should never be meta. I’d say an entire engine overhaul is in order as unrealistic though that prospect may be. The current one is starting to show it’s age (kinda crazy just how old the game is by now when you think about it). Speaking of which, I wonder if godhood as it relates to the Six is exclusively dependent on a human “host” or if any species can acquire it. 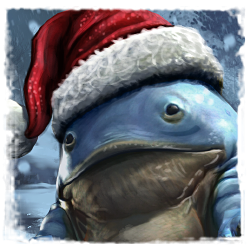 Like we kill a god and a hapless Quaggan stumbles into their residual “god goop” - instant Quaggan god! I think all of you missed the point of my post. I’m not saying they should do it thusly, but they can do it thusly. Animation is not a technical hurdle that can’t be overcome. Sounds like a Thief w/Daredevil to me. The elephant in the room is that Spellbreaker gets more than enough new toys to warrant the Adrenaline nerf. Berserker doesn’t at all. The new Primal Bursts are in no way good enough. Probably popping in and making a thread in the appropriate class sub-forum here, I’d reckon.